As my life continues after Stakeholder Forum I am revising my online presence This blog will be updated much more regularly and will focus on the post 2015 development goals, the follow up to Rio+20 and the main issues of the day on sustainable development as well as some of the new areas of work I am engaged in. 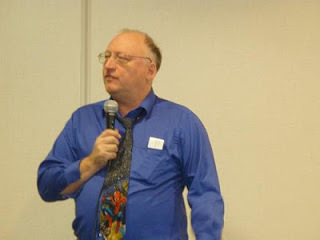 As part of the revision my web site (www.felixdodds.net) will also be revised and should be ready for November 7. It will focus on some of consultancy services I will be offering and will keep an update on my publications. The photo above is from an event at Ramapo College promoting The Widening Circle from the 18th of October. TWC recognises that civil society has become severely fragmented. Therefore, it has become more a reactive force to a prevailing agenda than being a proactive agenda setting force. This has diluted the impact of civil society.